With many years of experience M Picket Roofing can provide all types of Emergency Roof Repairs in and around Chelmsford and Billericay. Our Experienced team of London Roofers are “Trusted Trader” approved for your peace of mind, we focus on carrying out Quality repairs and offer free, no obligation quotations for all non-Emergency work. 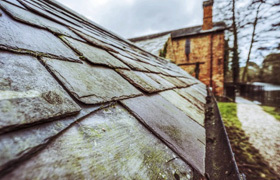 Roofing is our speciality with our solid team of highly skilled roofers we can undertake everything from a new roof to a simple flat roof repair. For the very best in domestic and commercial roofing, whether it involves tile, felt, asphalt, slate or lead contact us today for a no obligation quotation. We have many satisfied customers both domestic and business, and we also pride ourselves on our reputation for providing the highest standard of work. Whatever you building needs you can trust in M Pickett; contact us today on 01277 355 305 to speak to one of our fully trained professional staff to arrange a full survey or a no obligation quotation.